A Church of England church in London has come under fire for holding a joint birthday celebration for Jesus and Mohammed. 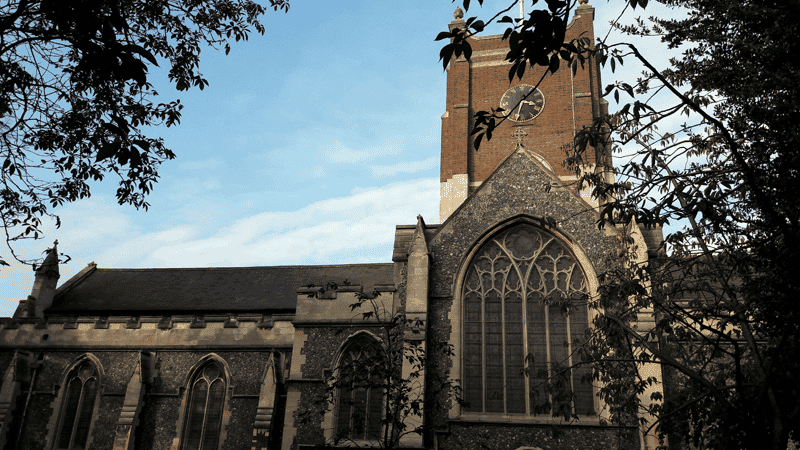 The “Milad, Advent and Christmas Celebration” took place on Sunday at All Saints Church in Kingston upon Thames. In a promotional flier, the church said the service was “Marking the birthday of Prophet Mohammed and looking forward to the birthday of Jesus”. The hour-long service included time for Islamic prayer and was followed by the cutting of a birthday cake. Prominent Christian blogger Archbishop Cranmer castigated the church for its lack of reverence for Jesus. He said the church was “rejoicing in both, eulogising both, solemnising both, glorifying both, honouring both”. Cranmer questioned this “sensitively missional” approach, saying that exalting Mohammed in churches effectively proclaims that Mohammed is greater than Jesus. The church organised the event alongside the Kingston Inter Faith Forum and the South London Inter Faith Group. Earlier this year, a passage from the Koran denying that Jesus is the Son of God was read during a service at St Mary’s Episcopal Cathedral in Glasgow. The passage claims that Mary was “ashamed” after giving birth and that Jesus spoke to her from his crib. At the time, the Revd Dr Gavin Ashenden, then chaplain to the Queen, referred to the reading as “blasphemy”, saying: “There are other and considerably better ways to build ‘bridges of understanding’”.